Karen was our 2nd Place Winner in the VT13 Contest earlier this year. Her hard work and discipline speak for themselves, but Karen is like that – a determined career woman, wife and mom who doesn’t make excuses while she gets RESULTS. Karen isn’t afraid to assess her actions and progress with objective appraising eyes and when something isn’t working, she adjusts her course, moves forward and leaves her judgments in the rear view mirror. This is the secret to her success! Take a look at Karen’s beautiful results and listen to our podcast where you can learn all of her secrets and hear how she is just as beautiful on the inside as she is on the outside. Karen rocking her new Venus look. Karen lost 15lbs. of scale weight while gaining gorgeous lean mass! Karen, we are so proud of you and so proud to call you a Venus role model and a wonderful friend. 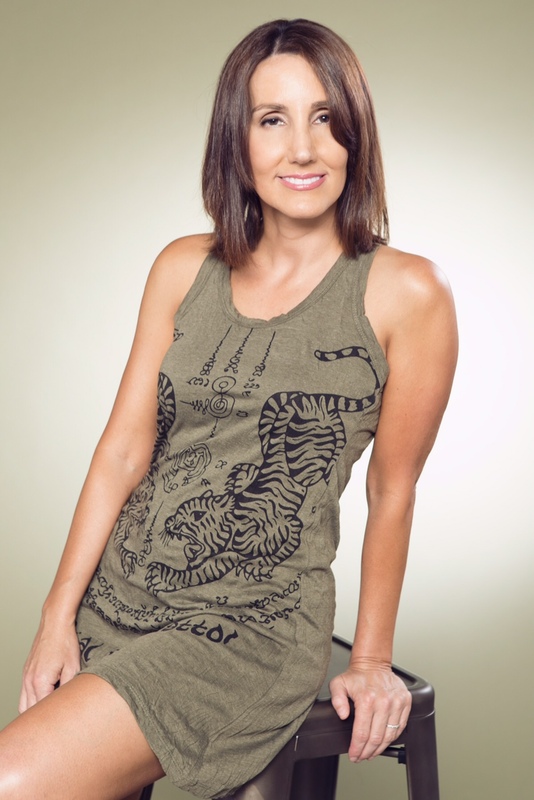 Lita Mar is a Venus Coach and content contributor as well as a lifelong fitness enthusiast. Past obsessions have included track and field, swimming, weight lifting, mountain biking and endurance training. A busy career woman who travels extensively for work, Lita is a strong believer in finding creative ways to maintain a healthy work life balance and stay in peak shape no matter what life throws at her. She lives in Idaho where she enjoys trail running, rock climbing and resistance training with her favorite workout buddy who is also her husband. Lita’s mission is to motivate, support and inspire others through education, example and creative interaction.